$10 OFF - First 50 Students! 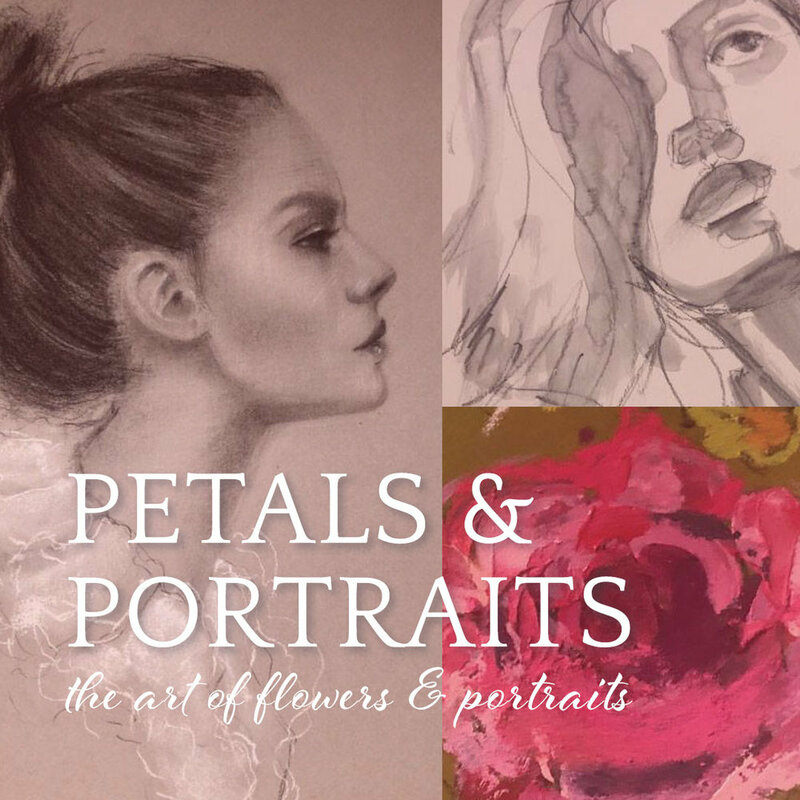 I am so excited to share with you how I create expressive portraits and colorful flowers in my artwork. 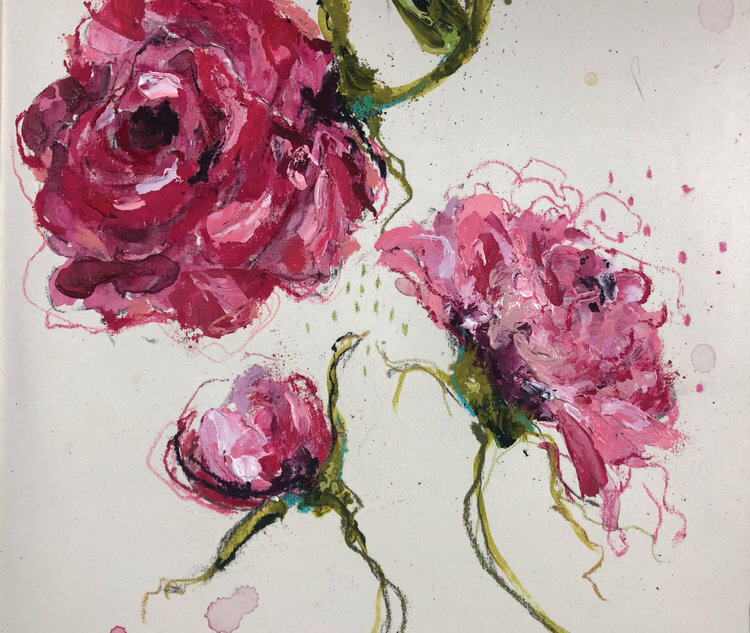 All summer long I gathered bouquets of flowers for our home, and spent a great deal of time drawing and painting these beauties. 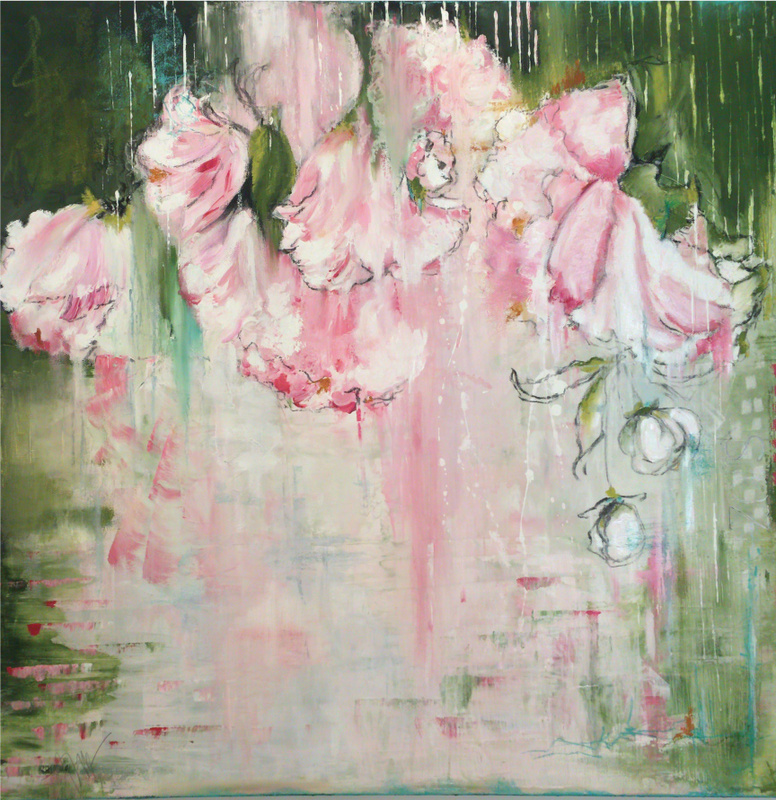 I wanted to immerse myself in this practice to find a way of creating expressive flowers that would ultimately work within my style of creating. 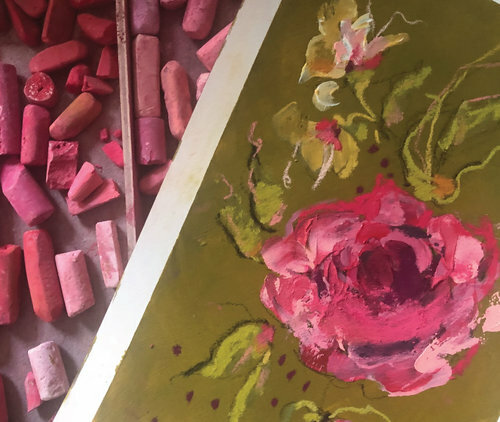 In this course, I encourage you to spend time filling your sketchbook or art journal with drawings, color palettes and more. 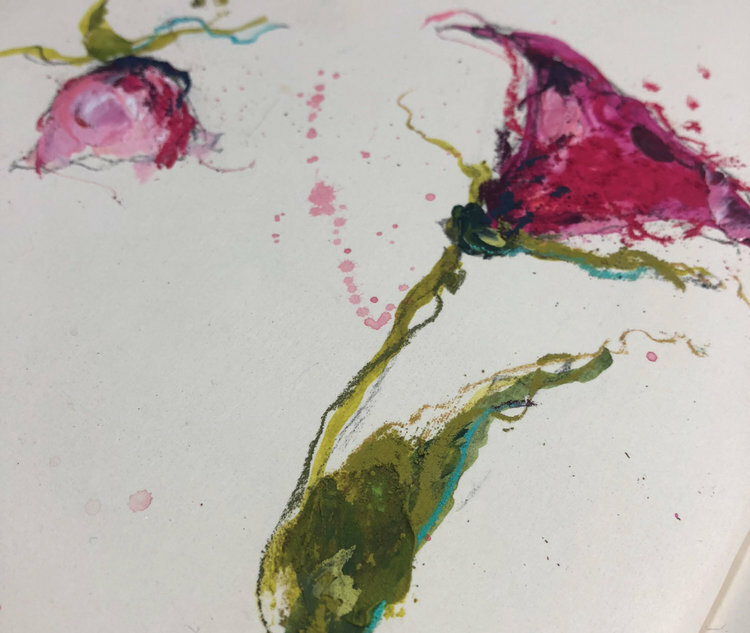 You will learn to "see" the shapes, forms, and lines of flowers and focus on finding your own creative voice so you can express it within your artwork. Line is such an important element to your drawing, it is the structure and expression of your art, and is as individual as you are. 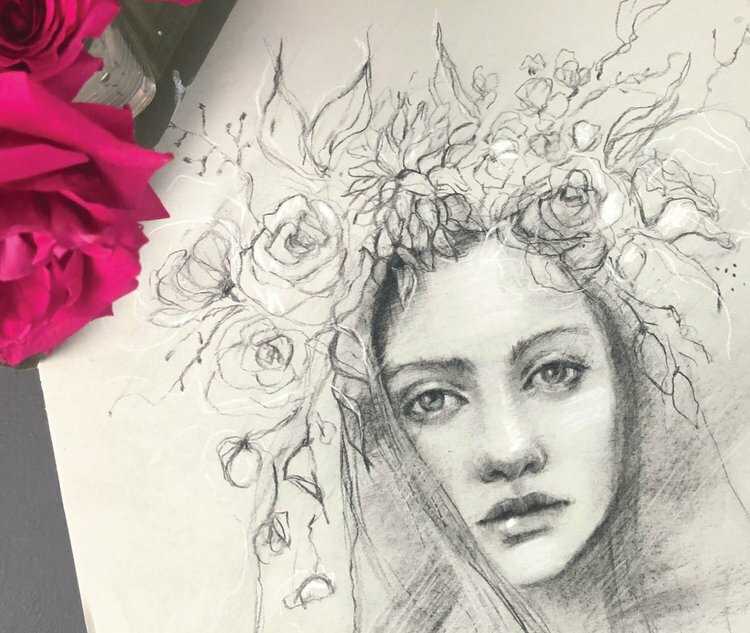 In this first project we are going to create a “Library of Flowers” in our art journals using a few simple tools like graphite, charcoal and water. 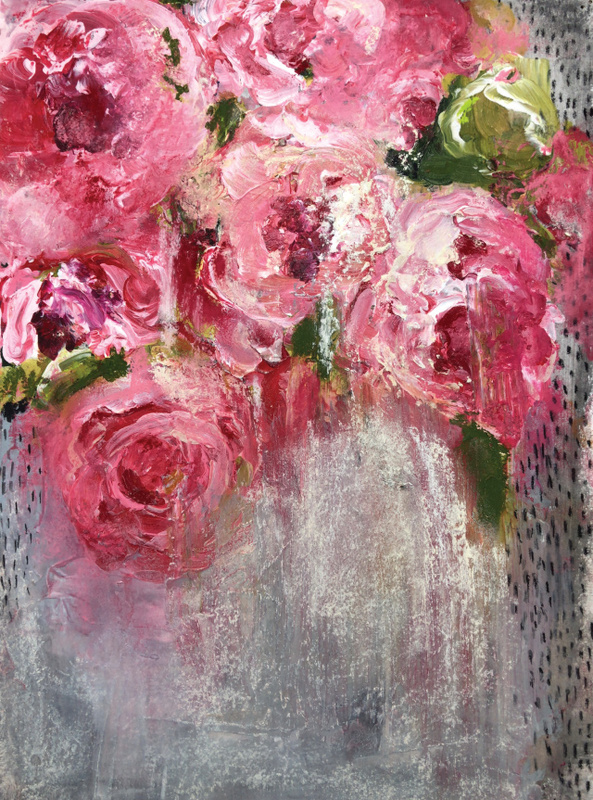 You will love how these loose and expressive flowers float across the page. 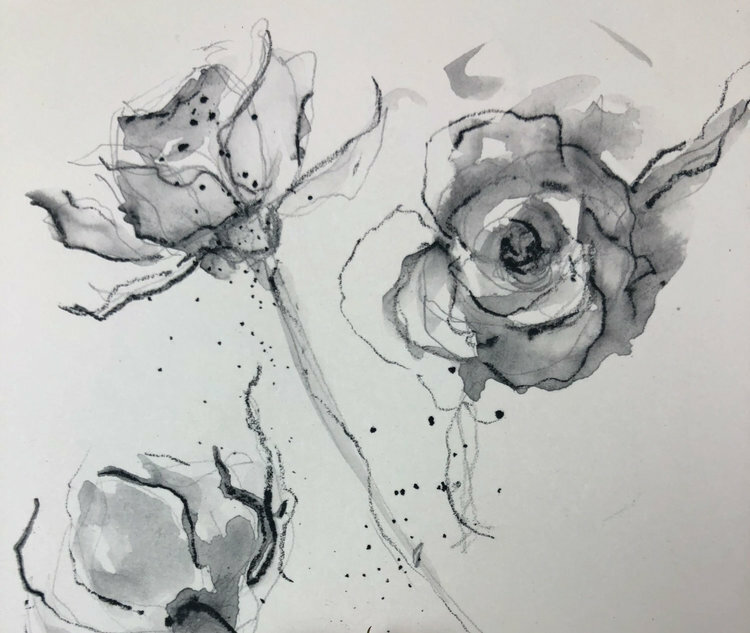 In addition, we will use newsprint and charcoal to continue to loosen up and create pages and pages of flowers to help to develop your vocabulary of mark making, and explore value to give form to your drawings. 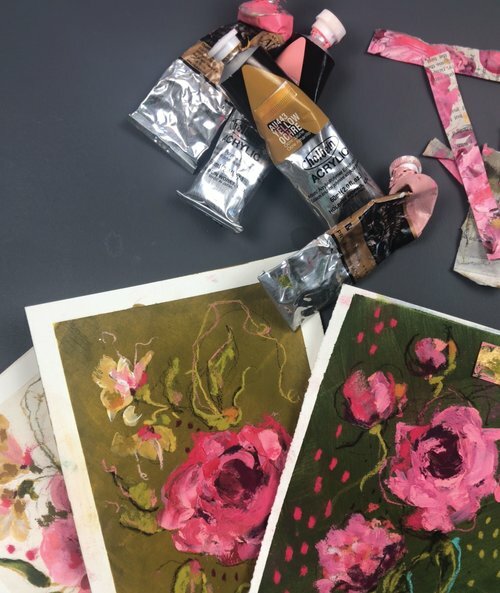 This project will be dedicated to color and texture I will share with you how I build layers of color using acrylic paint, pastels, and a few other fun materials to create flowers with gorgeous color, depth, and texture. 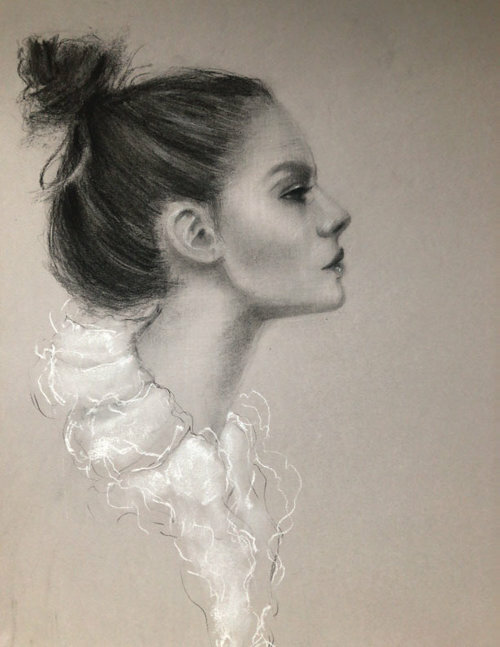 Portraits are mesmerizing, challenging and satisfying to draw, and they bring a beautiful presence to your art. They are also my favorite thing to draw and I am so excited to work along side of you as we create three beautiful portraits. In this project, we will commit to observing our subject as we create. 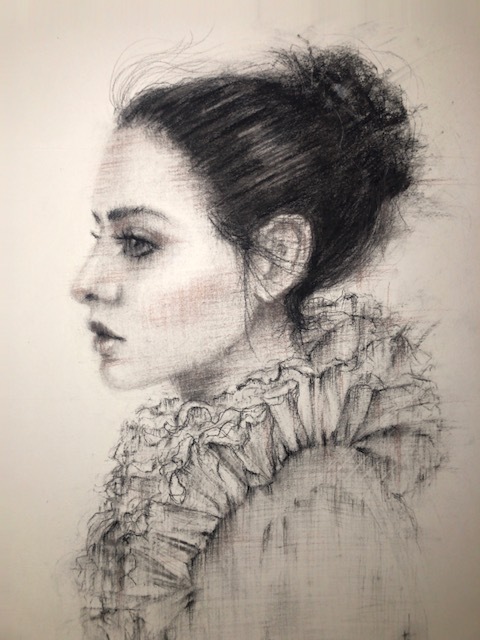 If you are new to drawing portraits you will be able to follow along step by step as I demonstrate how I keep the drawing "open" to create a frame work in order to create a successful drawing. This incredibly liberating and creatively satisfying project is so much fun! 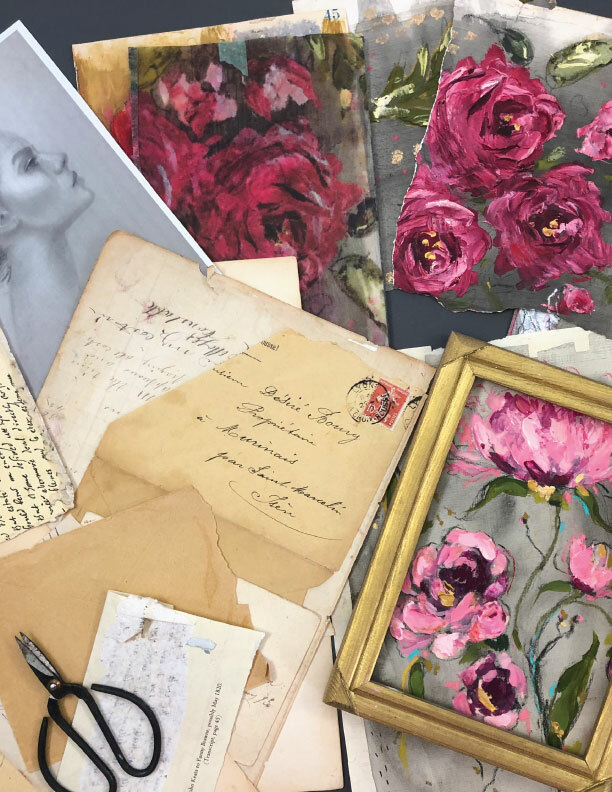 You will paint on vintage paper, rip it up and the use it in your collage along with vintage ephemera. You will create original and a one-of-a-kind work of art. 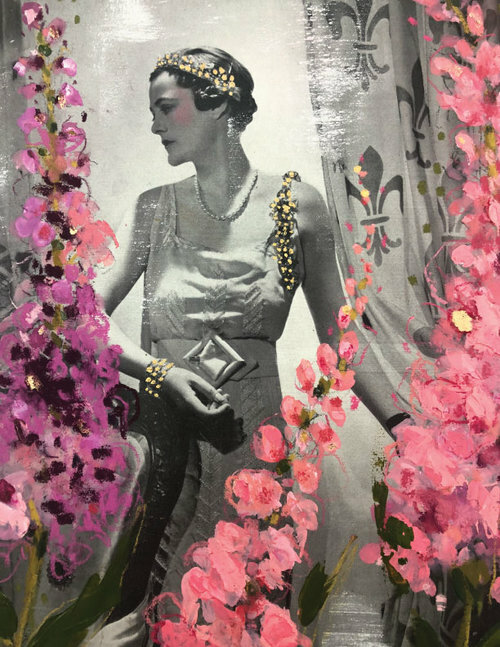 In addition, I will demonstrate how I take a photo of one of my portraits, copy it, prepare the surface and then use it in the collage. I'm so excited about this final project! 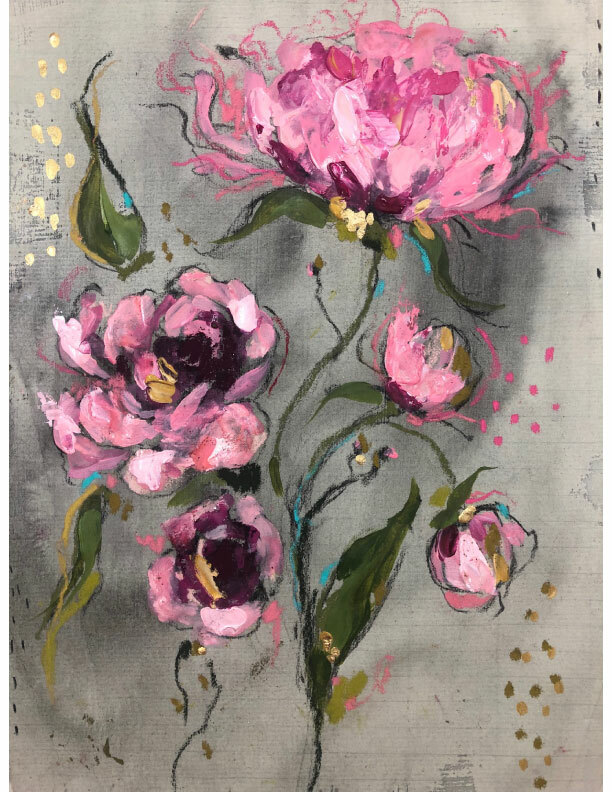 You will create rich textured backgrounds and then add gorgeous layers of paint and pastel to create your own unique floral art work. I couldn't resist adding not one, but two bonus projects. 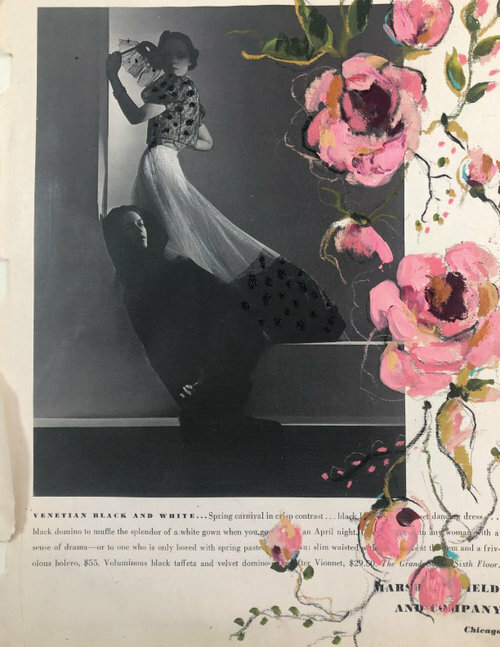 I stumbled across a vintage fashion magazine with amazing photographs and thought it would make the perfect canvas for our painted flowers. I am kind of obsessed with this project!! Embrace the beauty of practice. 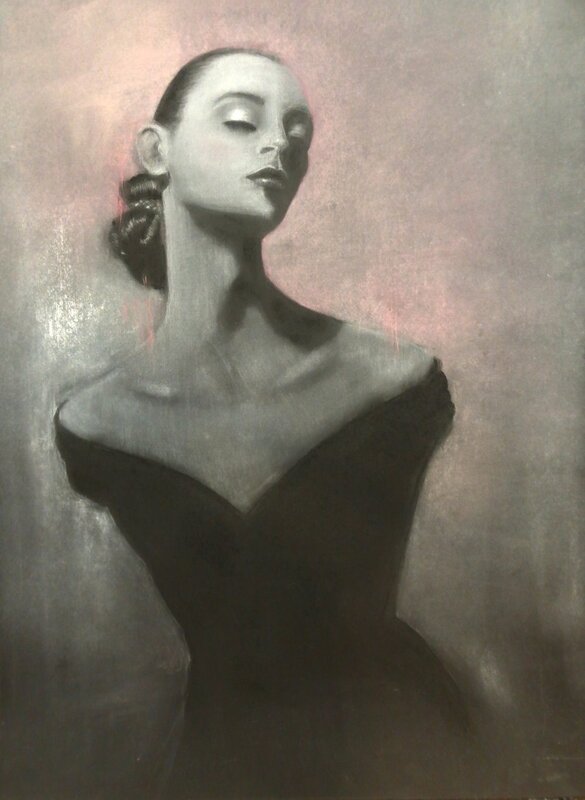 Learn to “see” your subject which is a continuous process and will develop with every drawing you create. Understand how line and value is important to your drawing and is the structure and expression of your art. 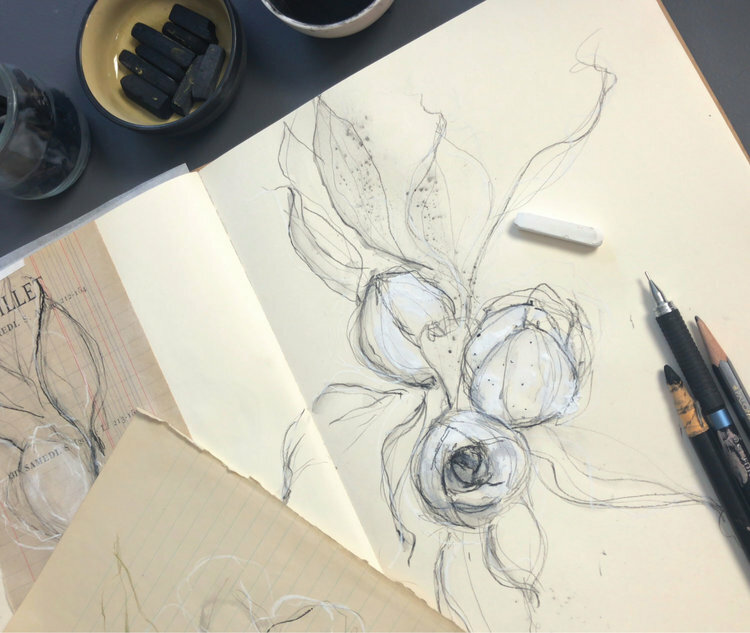 Extend your vocabulary of mark making which will bring originality to all of your art. Establish a beautiful color palette. 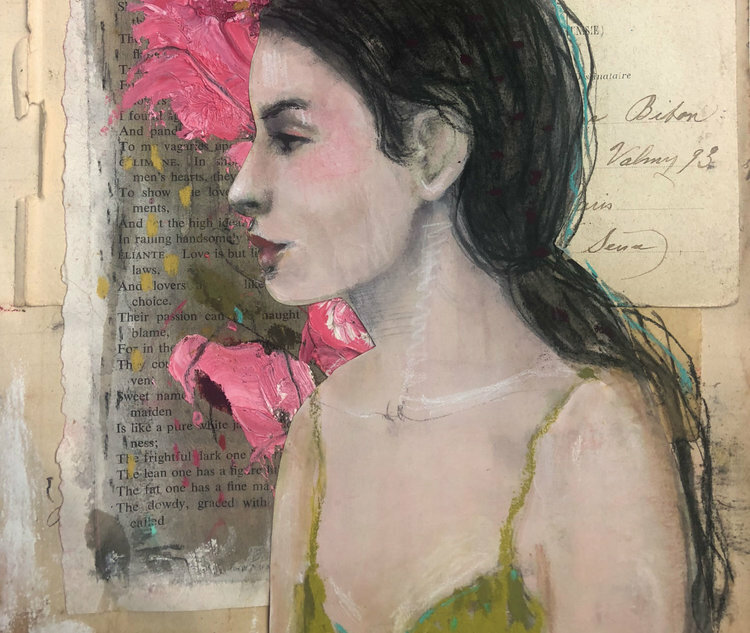 Explore many mixed media techniques. The benefits of using a photo reference when drawing the portrait. Seeing and mapping out relationships between our reference image and our drawing. 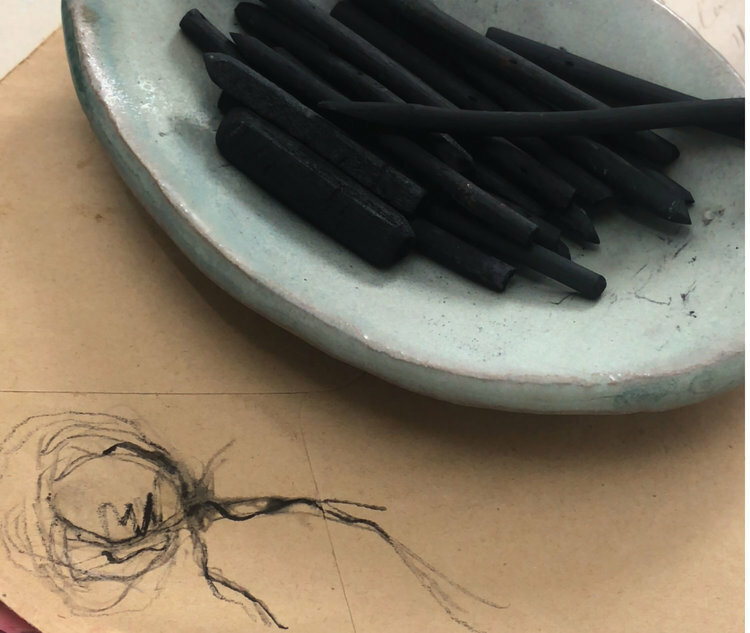 How to use charcoal in a variety of ways. Art supplies are so beautiful and hold so much promise, however, I think it is so important to use what you have on hand. Please don't feel you must purchase everything I have listed below. *Soft Pastels in your favorite colors - the link is to Sennelier - but any soft will do. The better quality, the more brilliant the pigment: Sennelier Colors: Carmine 3, Carmine 4, Carmine 5, Carmine 6, Magenta Violet 1, Olive Green 5, Olive Green 6, Geranium Lake - any of the range, Turquoise Blue - any of the range, Cinnabar green 4, Note: These are just a few of my favorites, please don't feel you need to purchase all of these in order to create the projects. A couple of pinks, yellows, greens, and blues will work just fine. Feel free to select a completely different color palette! Schmincke -Gold Powder - Please don't feel you must have this supply, the Golden acrylic paint works just as well. I'm just a little obsessed with it. Newsprint - The largest size. Art Journal - any kind. I'm working in the Dylusions Art Journal by Ranger for this class. 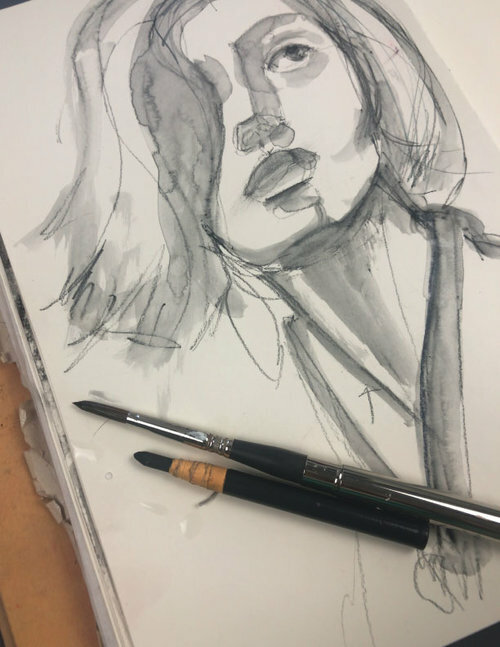 Watercolor Paper - anything you have on hand. I'm using the Arches Hot Press (smooth finish) you may substitute with a mixed media paper. Canson: Mi Teintes in Flannel Gray. Blending Stumps - You can find these at Michaels - The Artist Loft Collection. 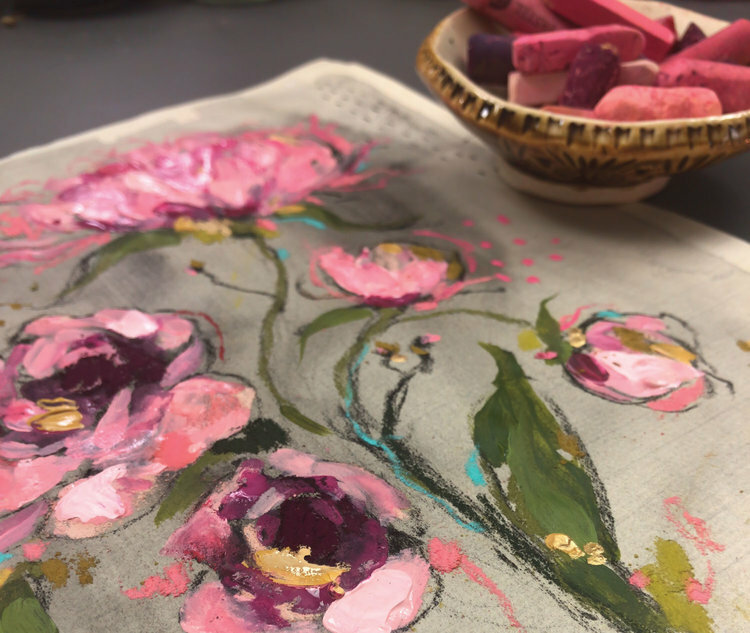 Video inside La Maison du Pastel - This is an amazing glimpse into the history of these amazing pastels and the one woman who makes each one by hand.